The Jardine Foundation is an educational trust established in 1982 to mark the 150th Anniversary of the Jardine Matheson Group. 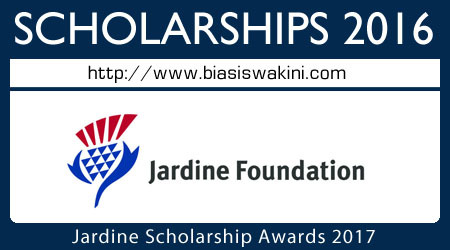 The Foundation in its discretion awards Jardine Scholarships annually to students to enable them to attend educational establishments, primarily preferred Colleges at the University of Oxford and the University of Cambridge in the United Kingdom. The Jardine Foundation is now seeking applications from students who are applying to the preferred Colleges at Oxford and Cambridge Universities for the academic year commencing in 2017.